To celebrate Independence Day 2015 we’re giving away a free hat with all wader or jacket purchases. Just tell us your preferred hat in the notes field when placing your order and we’ll add it to your order at no extra charge. Also all of our hats are marked down 20% on site. No code or coupon needed to score the discount – just add to cart and you’re good to go. Specials valid Wednesday 7/1/15 through Tuesday 7/7/15 for in-stock hats. Subject to availability. Coming soon: for the discerning fly angler, the all new Xtreme fly patch. Universal size fits a boatload of dries, streamers, steelhead intruders or even ginormous musky meat flies. If you can’t grow it, buy it. *One size fits most. Flies not included. Dryft Fishing – S13 Adrenaline Wader Review from Fishing Reviews TV on Vimeo. 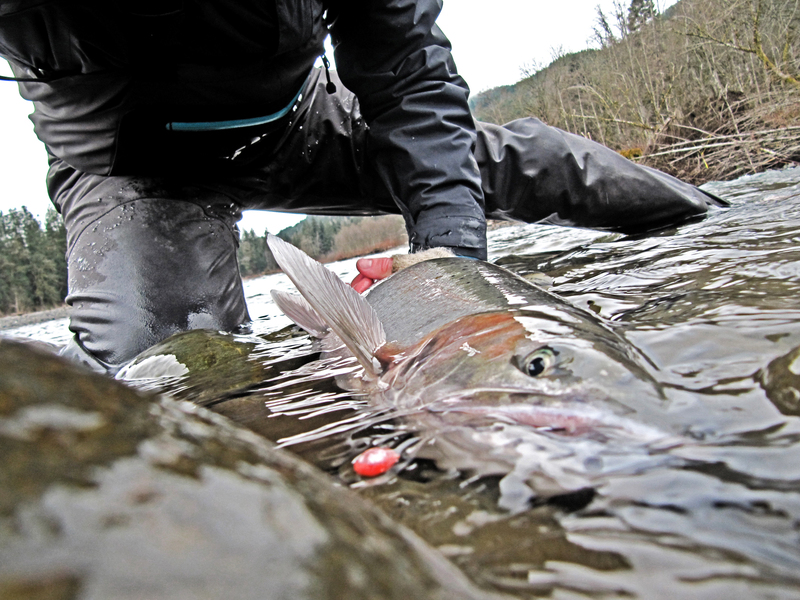 Why do five layer reinforced sections matter on waders? For several really good reasons. The five layer reinforced knees, legs, and seat are there to prolong the life of the DRYFT S13 waders, so you get the most seasons out of them. Like to bush whack a little? Kneel down when landing fish? Yep, so do we. Which is exactly why we designed DRYFT waders with the extra strength and cushion of reinforced sections in the high stress areas. The material we use is high tech, breathable, and is still lightweight enough to make our waders comfortable in both warm and cool weather. I received my waders about 2 months ago. The first time I wore them was in the tailwaters of Lake Taneycomo below Table Rock Lake. My fishing buddy that day had his neophreme’s on and was complaining about being cold. I was toasty and warm all day. Amazing for how light they are. Well the weather has warmed up here in the Ozarks and they are able to keep me cool even on low 90 days. I also like the flexibility I have to kneel down in the water to net and release the fish. Awesome!! 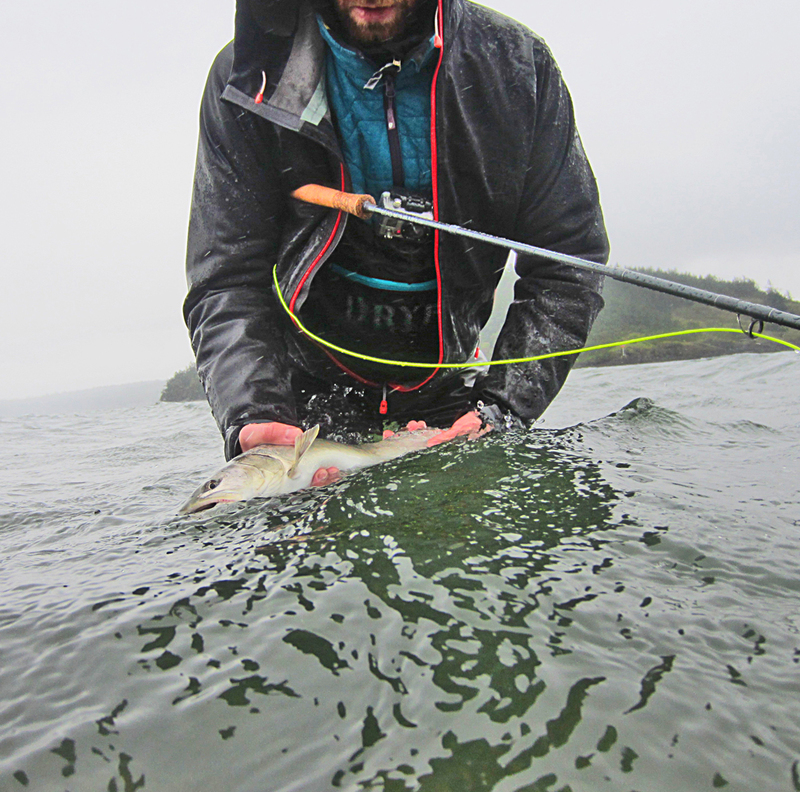 To read more about the DRYFT S13 waders, visit our product pages. 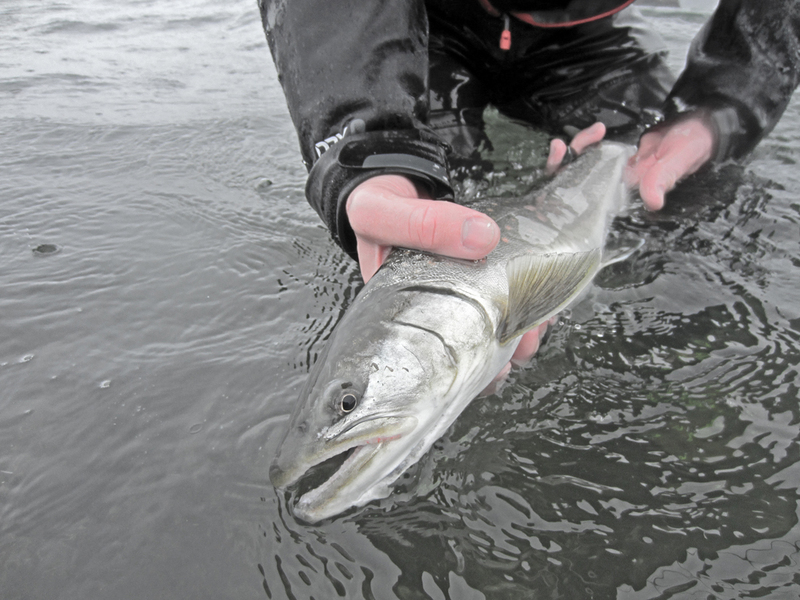 Bull Trout and Adrenaline from DRYFT on Vimeo. The limited edition flat brim flexfits sold out so fast that we ordered up a fresh batch. These sweet flat brim fishing hats are fresh in so get one while they last. Available now in the shop. 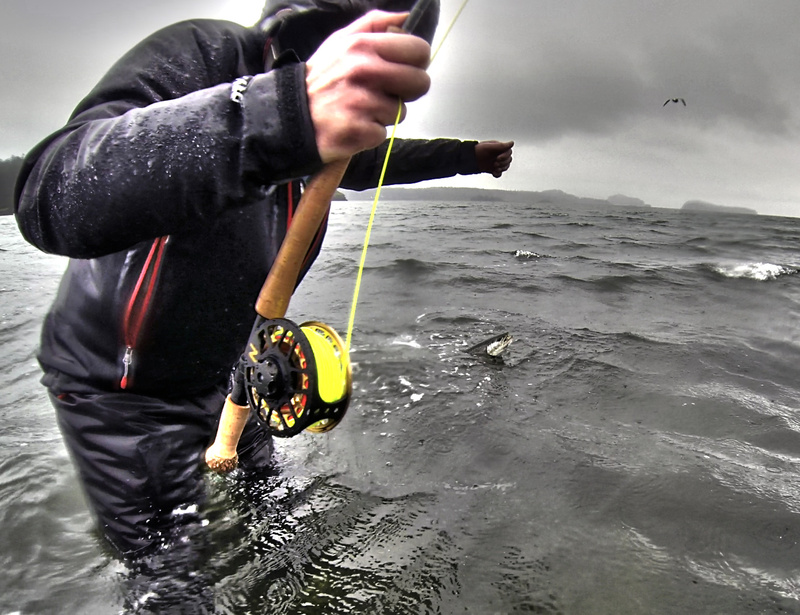 Conditions were less than optimal for fishing on Saturday. 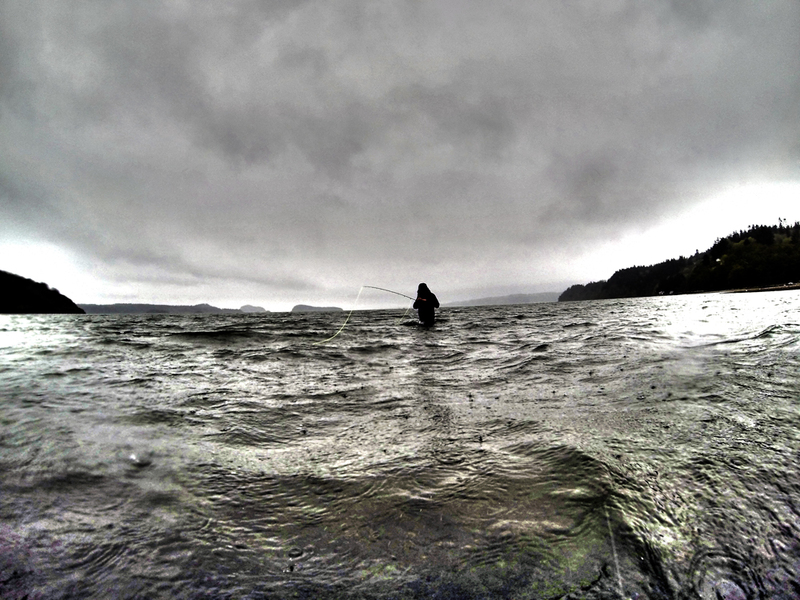 Freezing rain, wind, and waves made fishing a bit difficult to say the least. The use of a light switch rod made handling the wind better, but completely numb hands (nothing like forgetting the gloves at home) were really starting to get in the way of a fun time. 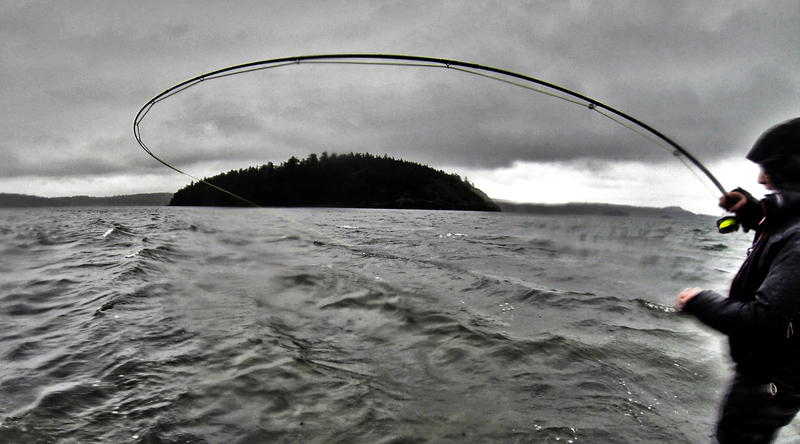 Luckily, a few fish showed up to play so the adrenaline rush kept us out long enough to snap a few pics. The first fish of the day. 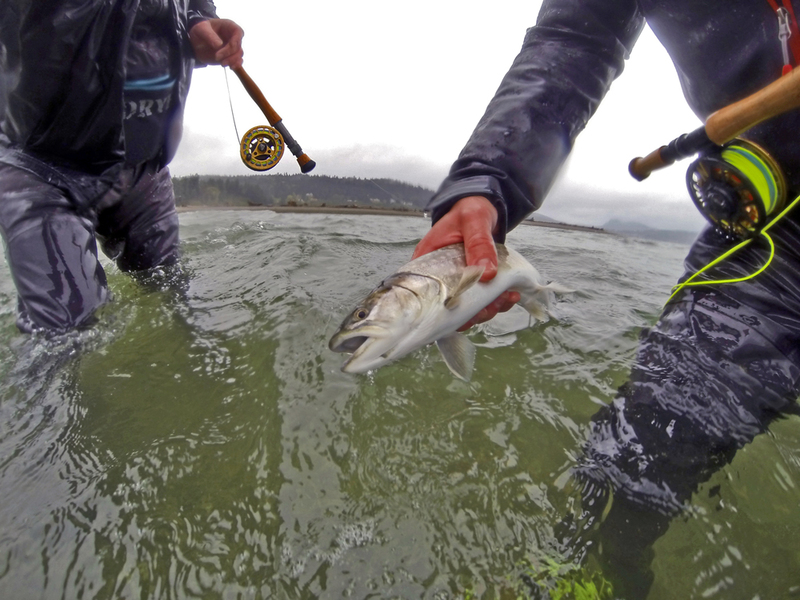 Putting a bend in the 5wt Switch on a healthy bull trout. 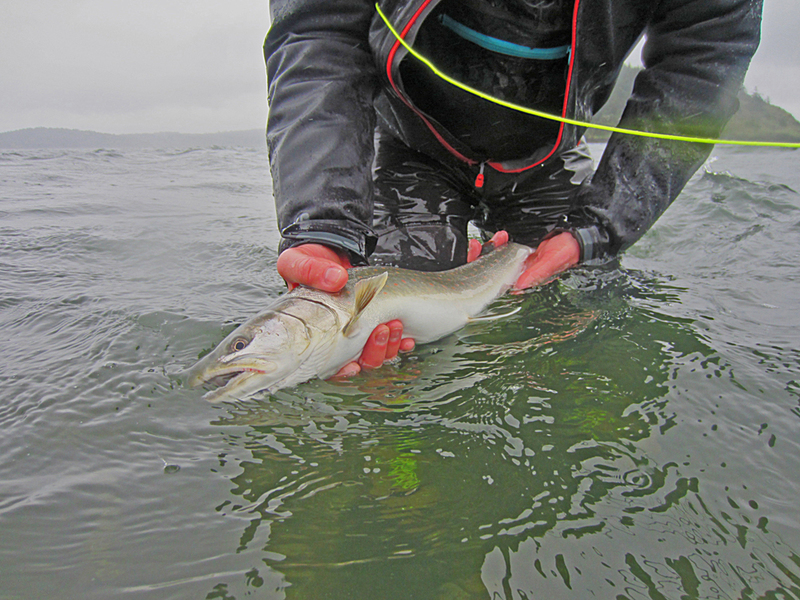 DRYFT Waders and bull trout. A winning combination. 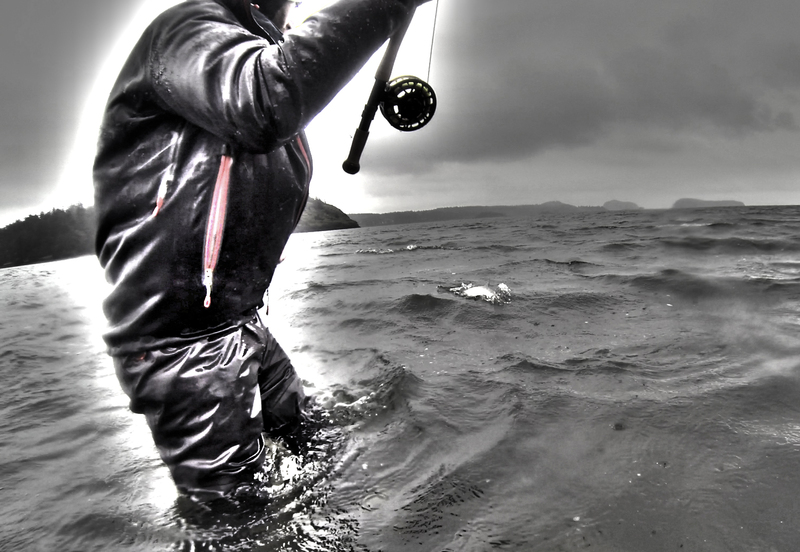 DRYFT S13 Fishing Waders launch promo from DRYFT on Vimeo. Made with one clear mission in mind; To blur the lines between design and performance at an affordable price. The DRYFT S13 wader features high tech, fully breathable 5 layer and 3 layer 100% waterproof DWR (Durable Water Repellent) coated fabric. The DRYFT S13 waders meet your on the water demands, and excel at keeping you dry and comfortable all day with the extra features you’d expect of a much more expensive wader. Available now in the shop!